Our tropical vacation in Phi Phi Natural Resort, Thailand made us feel as if we were a piece of the wild nature. We stayed in this hotel in 2017 and were very satisfied with our choice. A couple of years ago we stayed at Phi Phi Island Village Beach Resort and since then we have been in love with the untouched beauty of the North coast of Koh Phi Phi Don. During our stay in Phi Phi Natural Resort we felt more like in a natural park than in a hotel premises. The lodging fits perfectly not only in the natural surroundings but also in the island’s infrastructure as well. It is an interesting fact that there is a school building for local children on the hotel’s premises. The Laemtong school is sponsored by some of the restaurants in the area. The resort is the best choice for relaxation and feeling of calmness. 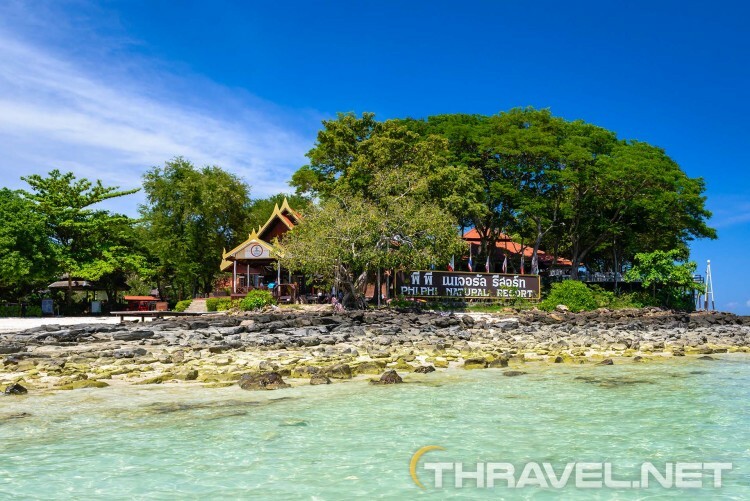 The resort is 45 km from Phuket, Thailand and 42 km from Krabi. It could be reached by ferry or speedboat. Phi Phi Natural Resort features perfect location for people who want to merge with nature. 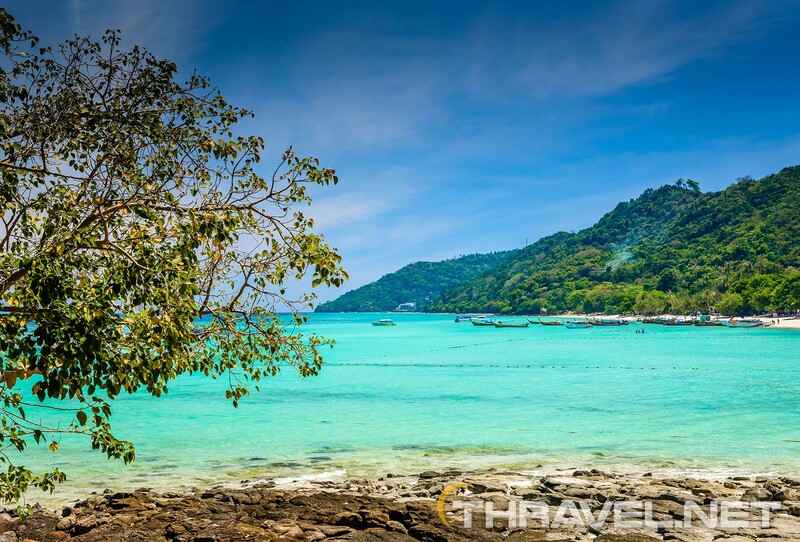 It is on the north coast of the biggest Phi Phi island. Phi Phi Natural resort is situated on the the west end of the beach with a group of other good hotels such as Zeavola Resort & Spa, P.P. Erawan Palms Resort and Holiday Inn Resort. 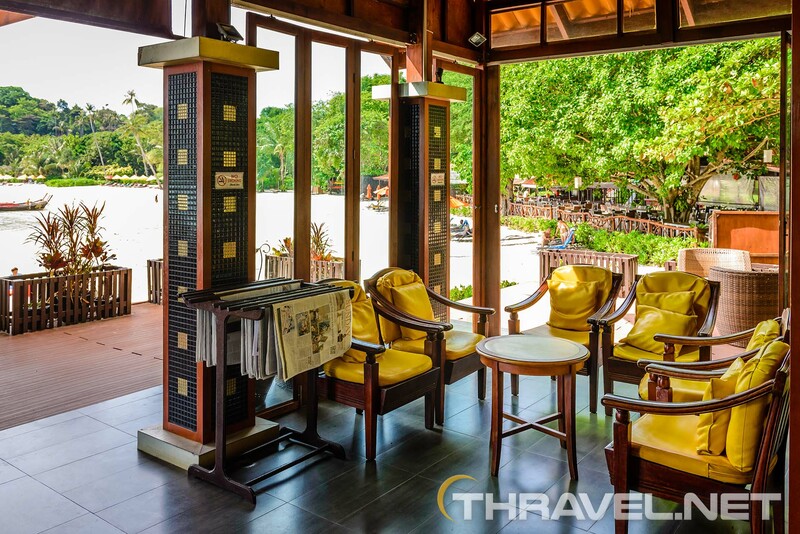 Due to its remoteness, the resort offers more expensive services than lodgings in Phuket and Railay beach. 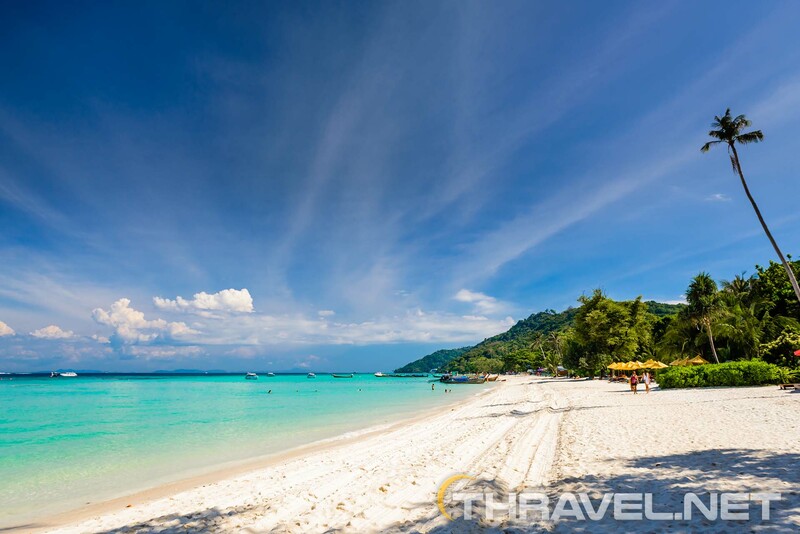 It is a good idea to exchange money before you embark on Phi Phi island’s north coast. To get there we first had a stop at Tonsai pier on the south coast of Phi Phi Don. Then we took another vessel to Laemtong pier. It was a pleasant 30-minute trip. What surprised us first was the enormous territory of the resort. Lush tropical gardens surrounded the villas and hotel’s buildings. It took 10 minutes to walk to some of the studios. 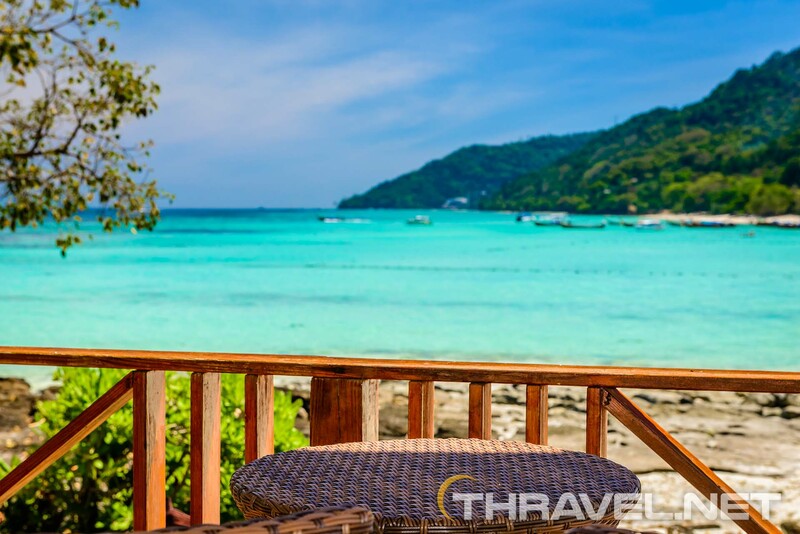 Some cottages and villas were close to the beach with a spectacular view of the Andaman Sea, Phuket, Railay beach, Chicken Island, Poda Island, Mosquito Island, Bamboo Island and Koh Lanta. 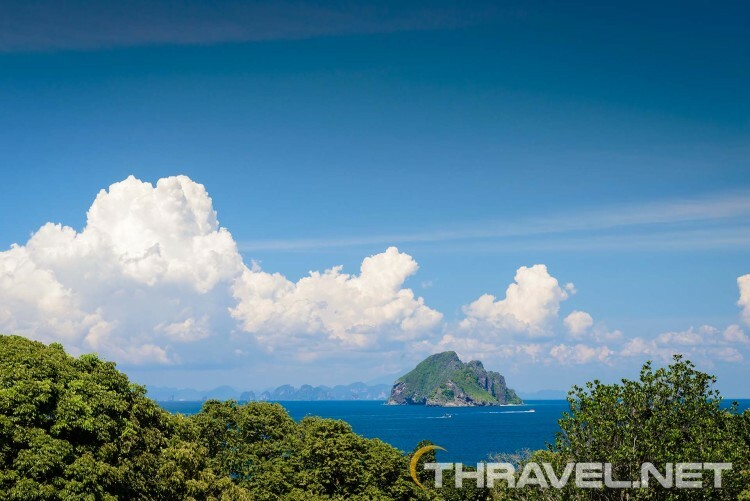 There are 160 bungalows and villas in Phi Phi Natural Resort. The most exclusive ones – 2-bedroom ocean villas are facing the private beach. They offer an endless view of the emerald waters of the Andaman Sea. Some villas have a private pool but is it so small that it would not be considered a benefit. Each bungalow with an ocean view consists of two bedrooms. They are offered separately so guests share the veranda and the swimming pool. Furniture and design are in Thai style. Buildings are painted in yellow or beige and are decorated with wooden elements. There is another type of accommodation – a family wood cottage with two bedrooms. It also features an individual swimming pool which is very small for our taste. Deluxe cottages are also set close to the private beach so guests have a spectacular view over the Andaman Sea. Our cottage was in the slope of a hill. 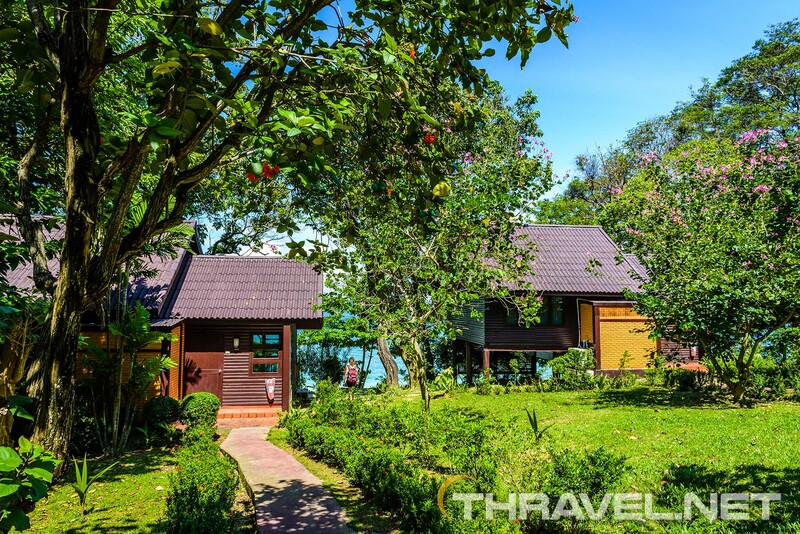 It took us 7-8 minutes to walk from the beach to the room but this villa offered an endless view of the breathtaking beauty of the Krabi islands. Through a green curtain of tropical vegetation the exotic islands could be seen. While on a balcony, hundreds of birds sang to us. For two days stay we did not see any dangerous animal in the resort. Our accommodation were in a row with four rooms. The studio featured air conditioning. The private balcony offered an amazing view of the rich tropical gardens and Andaman Sea. All the facilities were at a 5-10 minute walk. The most isolated area of the resort is set high in the hill beyond a road accessible even to local people. The standard rooms are in two-storey buildings. Guest can use a pool but villas are far from everything. The area is dark at night and most of the guests use a shuttle service to the room. The benefit is that all the rooms overlook the sea. Rooms in Phi Phi natural resort, Thailand are supplied with a beach towel per each guest, bathrobes, slippers for the beach, umbrellas, safety box (free of charge), flashlight, a set of shampoos, vanity kit, toothbrush, toothpaste and four bottles of water daily. We were surprised that we had free Wi-Fi not only in common grounds but also in the room. We just needed a separate password for each device. We could also use free Wi-Fi in P.P. Erawan Palms Resort which was also managed by the same company as Phi Phi Natural resort. Speaking about the comfort, beds were very hard. The single bed for our daughter was practically unusable. The main problem in the cottage were mosquitoes. There was no mosquito net on the door. Besides, there were small holes in the building that allowed insects enter the room and bite us. There was an announcement that there was a weekly insect pest control for the rooms but still without the desired effect. There are three restaurants in Phi Phi Natural resort. The breakfast restaurant (Laem Tong) is set on a small hill and offers a panoramic view over the Andaman Sea. Breakfast menu includes coffee, tea, pastry, eggs, Thai specialties, fruits and vegetables. The dinner restaurant features a view on the central beach and the ocean. The beach terrace restaurant serves international dishes and a small selection of Thai dishes. Prices are twice as high as in Phuket,Thailand or even Railay beach. For the typical Tom Yum, Green curry, Red Curry or Massaman curry you have to pay TBH 350-400 (13 USD). 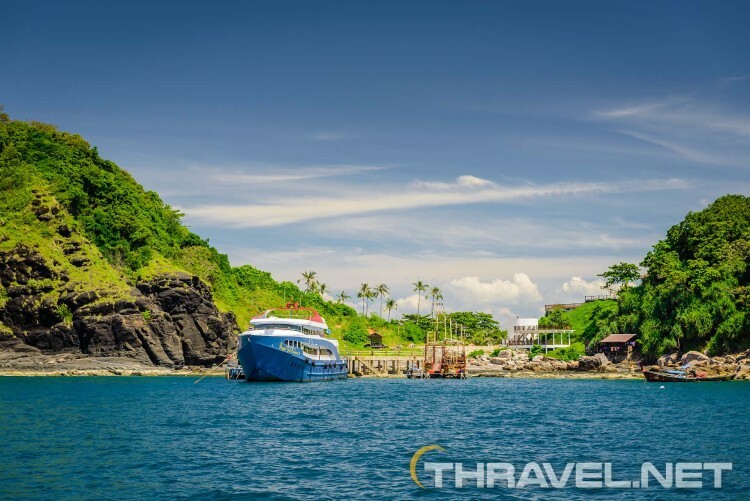 In comparison, the restaurants in neighboring islands offer the same meals at prices between TBH 120 – TBH 200 (4 – 6 USD). A bottle of Chang beer in all restaurants and bars in Phi Phi Natural resort is THB 200. The third restaurant Kinnaree is frequented by people from other hotels for a lunch package which was included in their boat tours. There is a small shop which is opened till 6 pm. The good news is that there is a vending machine for drinks and snacks. You can purchase a small Chang beer for TBH 80 (less than 3 USD). People can relax on the long beach of the bay as well as on a private beach which is only accessible by hotel’s guests. There used to be two private beaches but the sand of the first one was almost washed out by the tsunami. Now there are small rocks with shallow water and corals. Swimming pool is also a perfect place to relax. It overlooks the private beach and the sea. It is located between the breakfast restaurant and the beach bar. Massage service is available from 10 am to 8 pm. The price for the traditional massage on a whole body is TBH 500 (17 USD). Foot massage is the same price. The experience is unique. The relaxing feeling under the tropical trees cannot be compared to anything else! Phi Phi Natural resort offers kayak rental. There is also a boat service from Laemtong pier to the Sout coast – Tonsai pier. The price is TBH 200 per person. Some people go to Tonsai because of the variety of bars and shops. Long tail boats can be rented from the Phi Phi Natual to Phi Phi Leh island at a price of TBH 1500 – 1700 (50-60 USD) for a four-hour tour. Yet the distance is significantly large – it takes one hour in one way to get to the secluded island and visit the world famous Maya bay. The reef in front of Phi Phi Natural resort is among the top spots for snorkeling around Phi Phi islands. 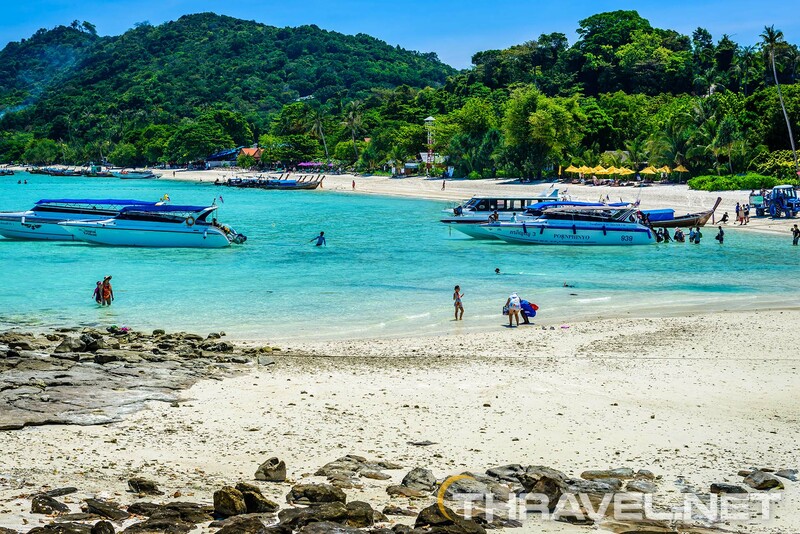 Many boat tours stop here to explore the amazing diversity of the underwater world of Southern Thailand. The beautiful coral reef is a home of colourfull fish and unique life. 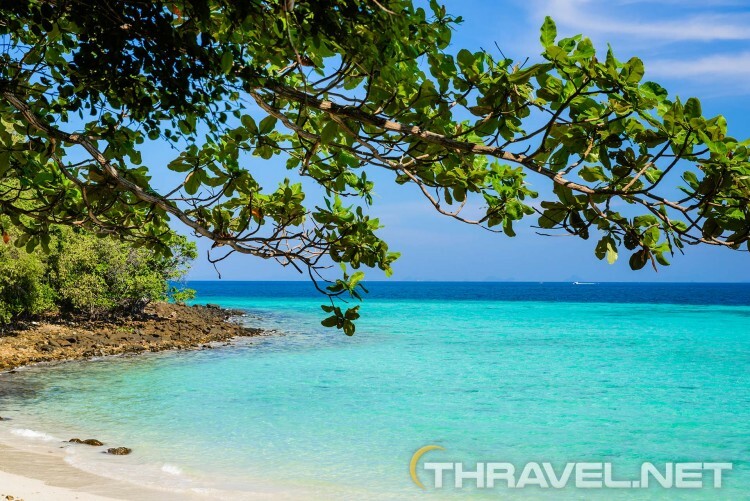 Exotic Vacation in Thailand: Phuket or Krabi?